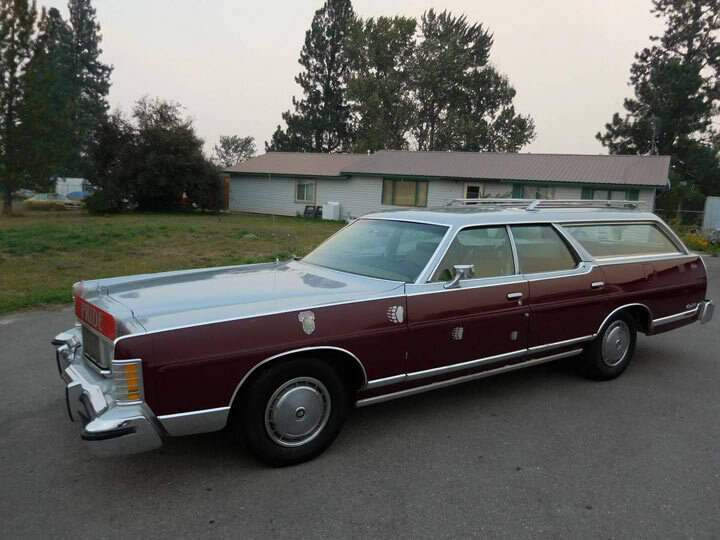 Custom painted in University of Montana colors and seemingly as big as the state of Montana itself, this massive Grand Marquis is ready for your next Montana Grizzly tailgate party. Found on Craigslist in Stevensville, Montana you can get your Grizzly party going for just $1,495. All to often I see a car that has had significant amount of work completed only to cringe at the result. Sometimes it’s a matter of taste; I generally like cars that are for the most part stock, other times it’s a lack of restoration quality and sometimes its just the colors that make me look the other way. 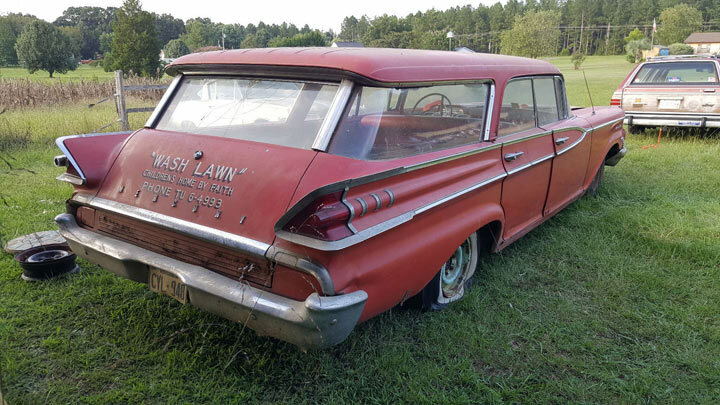 This Ebay find 1964 Mercury Colony Park is none of these things. The ‘Silver Blue’ finish is absolutely striking combined with the ‘wood’ applique. 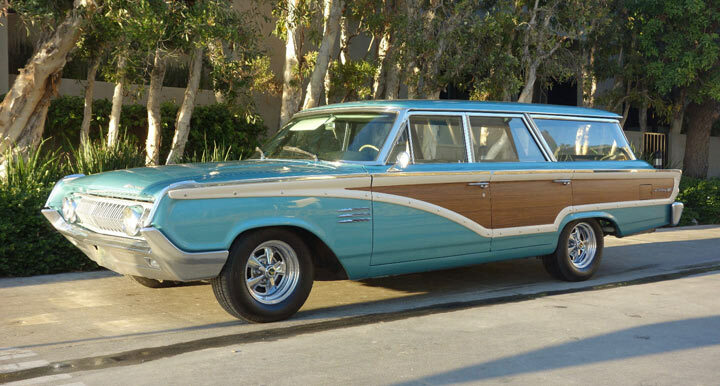 A set of period wheels complete with ‘gold lady’ centers give this California wagon that surfer wagon touch and the quality paint job on what was an already solid body means no bodywork surprises should surface. 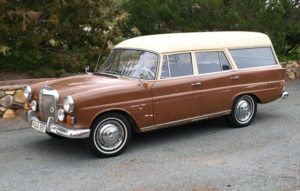 Surf wagons have been around almost as long as surfers themselves. 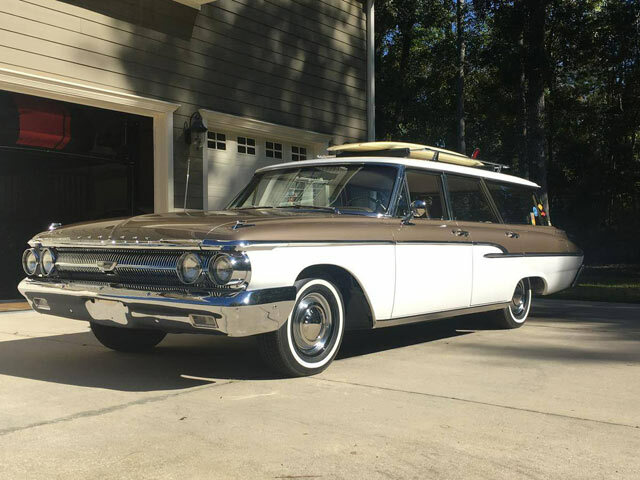 Surf boards were often over ten feet long and very heavy so a day at the beach required a special vehicle for hauling your boards and what’s better than a station wagon to do the job? You could strap them on the roof or easily throw them in the cargo area. 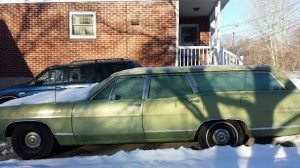 A good surf wagon can really be whatever you make of it, they can be rat rods with plenty of patina or they can be high end street rod wagons. 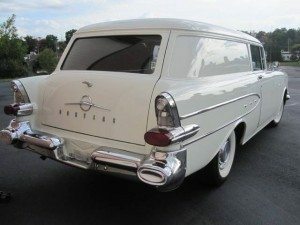 This Monterey Commuter wagon is a gleaming restoration that is mostly stock but with just enough surf touches to make it the envy of any beach outing. Found on Hemmings in Charleston, South Carolina the seller is asking $35,500 OBO. 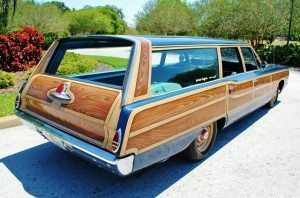 If you grew up in the 70’s like I did you can probably relate to experience of driving around in a big station wagon, the 8 track player rolling endlessly or your favorite top 40 station on the airwaves while you fought with your sisters in the backseat. It was a time when the youth culture was expressing their freedom and at the same time confusing their elders in a clash of the generations. 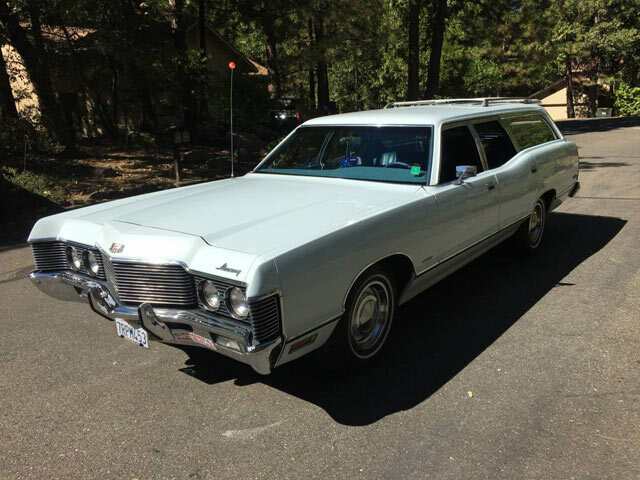 What better way to express yourself than a statement bumper sticker on your car, which brings us to this very original 1971 Mercury Monterey- original right down to the bumper and window stickers. 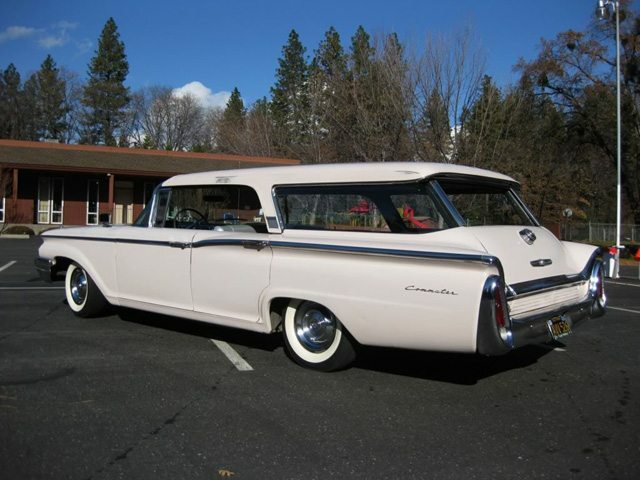 Found on Craigslist near San Jose, California with an asking price of $8,500 this wagon is sure to make a statement.